The Golden Tulip overlooks the Arabian Gulf and is at 35-minute drive from King Fahd International Airport. It has a fitness centre and offers air-conditioned guestrooms with free Wi-Fi. 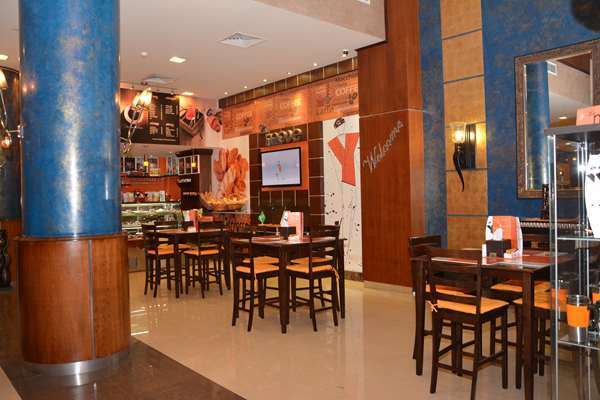 Hotel guests at the Golden Tulip Al Khobar benefit from a fine dining establishment right on the premises. The Capri Restaurant features a menu with plenty of variety, including theme nights such as seafood, Italian, and Oriental cuisine. Guests who prefer to dine in their rooms can take advantage of the hotel's 24 hour room service.